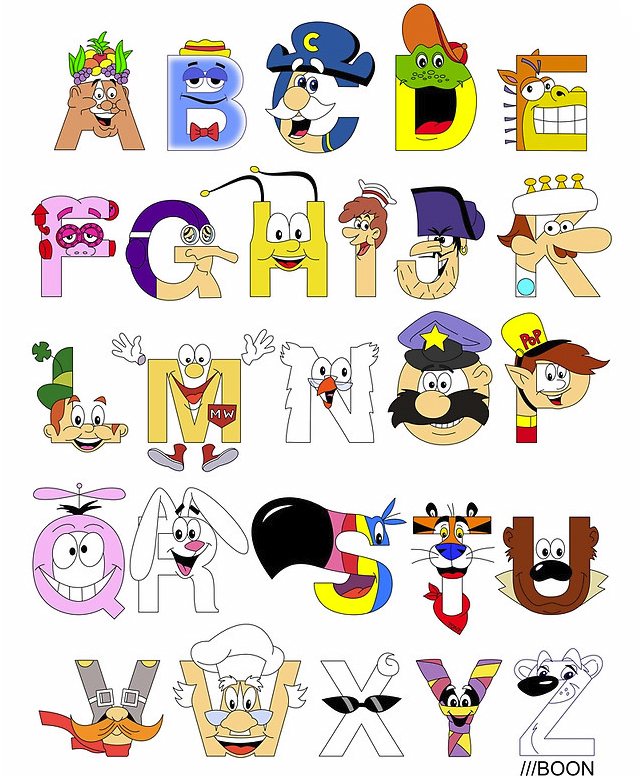 Artist Mike Boon created the design Breakfast Mascot Alphabet, an alphabet poster inspired by a large group of the well known cereal box mascots. Prints, clothing, iPhone cases and more are available to purchase at his online Society6 and Redbubble shop. If you need help naming all the characters, Mike has provided a full list of names on his website. In case you missed it, we also wrote about the Dr. Seuss Alphabet and P is for Pixar designs by Mike.